All HMI functions onboard, this characterizes the Runtime component of the WinCC basic software: Starting with a user administration that meets all requirements of Good Manufacturing Practice (GMP), ranging to a user interface with lots of configurable controls and functions up to a performant message and archiving system based on the integrated MS SQL Server. Reporting and logging system as well as integrated control technology functions complete the list. The Engineering Component WinCC CS offers a set of editors that leave nothing to be desired when talking about efficiency or user friendliness. Libraries and wizards make the generation of a project fast and easy and reduce error-proneness considerably. As a software for most complex HMI tasks WinCC is able to handle comprehensive projects and mass data. The basic system is scalable in all respects by employing WinCC options. The basic software can already be adapted to increasing quantity structures by finely graded licenses. Yet a chosen license can easily be upgraded in regard to the number of process tags. By employing WinCC/Server you can run WinCC as a Client/Server application. WinCC/Redundancy is used to build up a high available SCADA system. WinCC/CAS offers the possibility for setting up a scalable, central process data archiving. The WinCC/Web Navigator allows you to visualize and operate your plant via the Internet with nearly the same functionality as a WinCC client but unbeatable flexibility. SIMATIC WinCC consistently builds on the highest possible openness and ability to integrate as it is designed for using standard technologies and software tools: This comprises basic technologies, operating systems, the ways of communication or the ability to integrate scripts, all on a non-proprietary basis. The basic system is designed technology- and sector-independent. Nevertheless it fulfills special requirements of particular industries, e.g. 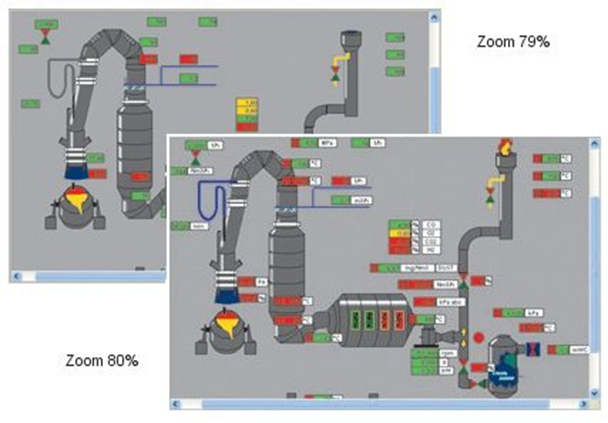 the FDA regulations for the pharmaceutical industry..
SCADA (Supervisory Control and Data Aquisition) establishes a basis for Plant Intelligence solutions. 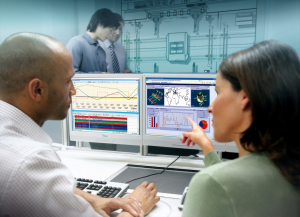 WinCC is able to acquire and archive process data, which can be aggregated, analyzed and sent to MES-systems for further processing using the WinCC Plant Intelligence options. Using WinCC User Administrator, you assign and control users access rights for configuration and runtime. As the administrator, you can set up at any time – including at runtime – up to 128 user groups each containing up to 128 individual users and assign them appropriate access rights to WinCC functions. A total of 999 access rights is possible. Starting with WinCC V7 SIMATIC Logon is part of the WinCC basic system. The user administration with SIMATIC Logon integrates into the security system and user management of Windows and thus meets enhanced security requirements according to FDA regulations. SIMATIC Logon comprises a number of security mechanisms and provides a plantwide user management. In projects that have been created for several target languages you can switch between the languages online during runtime. 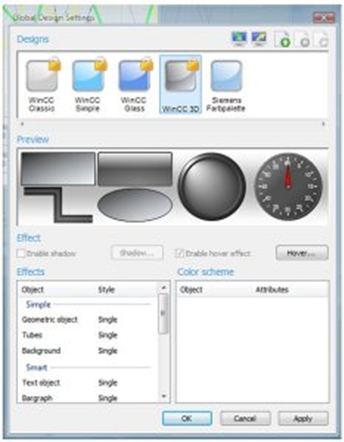 Windows elements like menus and toolbars can be integrated into the WinCC user interface. These new user interface elements can be utilized in screens and screen windows, be configured “fixed” or movable, and be operated in the familiar Windows manner. Concerning their depiction, all WinCC Controls and Windows objects (buttons, scroll bars) within WinCC can be changed over together with the Windows settings. In doing so, a central color palette can be assigned to central design settings, which of course can be individually customized afterward. Especially the Vista style effects hover, glass, shadows, and transparency offer many possibilities. Altogether, this enables a project-specific look & feel to be created for the user interface. mouse pointer to scroll the picture in the corresponding direction. Using the decluttering function layers, and the objects contained in them, can be displayed and hidden, depending on the zoom factor. SIMATIC WinCC doesn’t just acquire process messages and local events, it also stores them in circular archives and then makes them available as desired on a filtered or sorted basis. 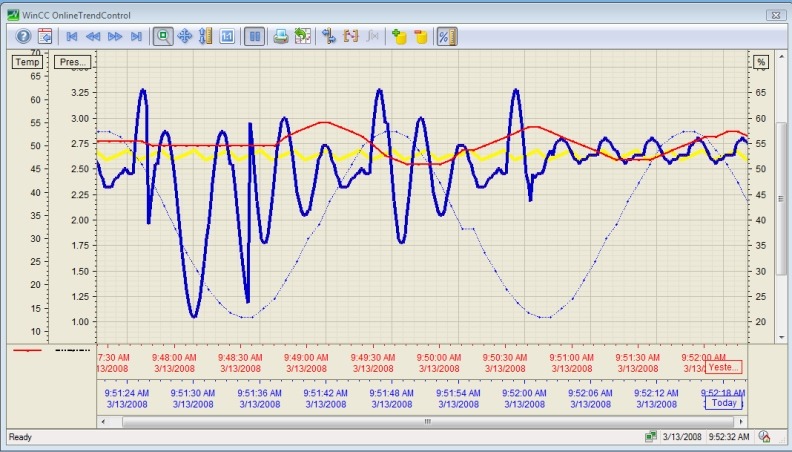 Messages can be derived from individual bits, can be a result of an alarm message frame directly from the automation system or of analog alarms in the case of out of limit conditions. Individual acknowledgement procedures, a freely definable message structure and configurable archiving as well as logging of messages are additional features. In the WinCC Alarm Control, the depiction of the messages can be individually customized. Extensive selection options, e.g., via a user-specific filter matrix, assure an optimal overview. The depiction of messages already swapped out is possible as well. At the push of a button, the messages depicted can be exported or printed out as a report. System-specific functions can be implemented via freely configurable toolbar functions. Starting with WinCC V7.0 SP1, a search function is offered in the Alarm Editor. The filter options in the alarm system have been supplemented by “equals” for process value blocks and “contains” for text values. The message hit list indicates the average and total times that specific messages have been pending for (message duration) and, in a similar way, the average and total acknowledgement time. With the function “Alarm Hiding”, the operator suppresses unimportant system status messages on the screen display, though they continue to be archived in the background. The “Hiding List” can of course be viewed at any time and individual or all alarms be displayed again by selection. Historical values or value progressions are stored in process value archives. Besides process values, WinCC also archives messages and application data. The archiving occurs in ring archives in the integrated, high-performance MS SQL Server database at a rate of up to 10,000 measured values and 100 messages per second. The storage capacity requirements are very low due to powerful, lossless compression functions. The WinCC basic system already allows up to 512 archive tags to be configured. In the final capacity stage, PowerPacks enable the expansion to up 120,000 tags. A central, optionally redundant, long-term archiving can be implemented via a central archive server with the option WinCC/Central Archive Server. 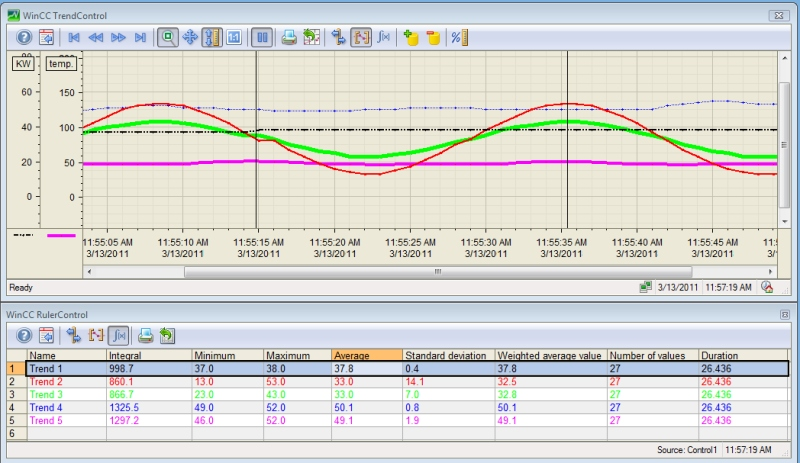 In the TrendControl, current values (online trend curves), historical process values, and desired value trend curves can be depicted in the same trend display. The depiction of messages already swapped out is possible as well. In doing so, a customized scaling of the time axis and the value range can be performed (e.g., scaling in percent). The time and value axes of the individual trend curves can be moved online by mouse movement.This function, for example, can be used for batch comparisons. WinCC has an integrated logging system that you can use to print data from WinCC or from other applications.This system prints data that was acquired at runtime in configurable layouts by means of different types of logs: from message sequence logs through system message logs and operator logs up to user reports. Before printing reports, you can save them as files and preview them on the monitor. WinCC logs can also contain data from the database and external data in CSV format as a table or a curve in a log. WinCC’s basic system contains functional expansions that make a WinCC station ready for process control tasks with a minimum amount of engineering work. Basic Process Control offers additional objects and configuration tools (e.g. 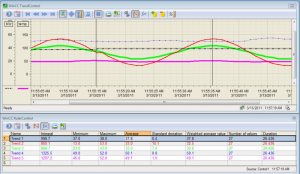 the Picture Tree Manager) to allow you to easily implement typical instrumentation and control technology requirements. 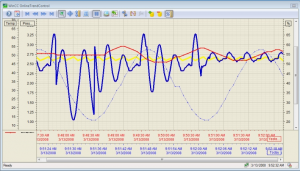 Time synchronization via PROFIBUS or Ethernet.